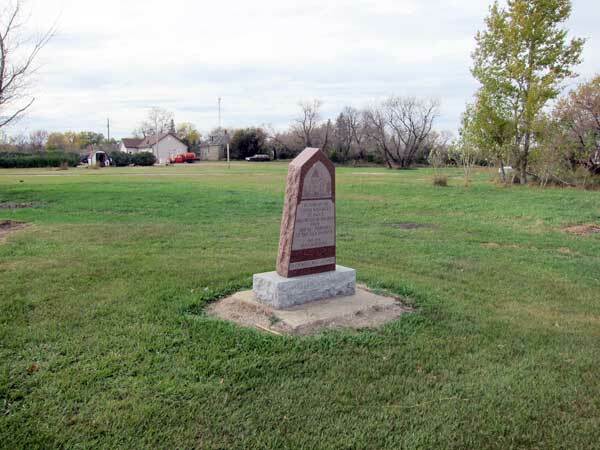 This monument in the village of Elva, in the Rural Municipality of Arthur, marks the former site of St. Paul’s Presbyterian Church. Built in 1909 on a design by Brandon architect Thomas Sinclair, the church is no longer present at the site. The monument was unveiled on 30 August 1970.